Slurping these liquified meals is not only good for your tastebuds but also amazing for your health. Wow, this meal is so good… Why don’t we make it in liquid form too!? The invention of soup has always confounded me. But apparently, Grandma knew what she was doing force-feeding me all those weird broths when I was under the weather as a child. Soup has a number of positive health effects: it provides us with an abundance of healthy ingredients and, just as importantly, has the ability to raise our spirits. Seriously, this was studied by real life scientists! (Crazy right?) So, here are three great ways to stay away from University Health Services by souping it up this fall. 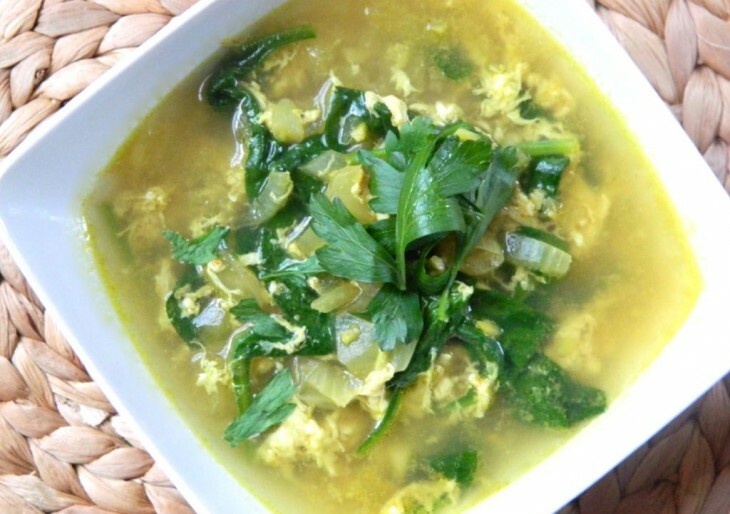 This ginger curry egg drop soup contains prime immune-boosting ingredients. Ginger is almost as versatile as a good pair of jeans but, fortunately for us, it tastes way better. It speeds up your digestion and reduces nausea–keep in mind for your next hangover. This cold-fighting soup contains garlic, an ingredient that kicks bacteria out of the body, as well as curry, one that assists in the implementation of anti-inflammatory processes. The ingredients are cheap, easy to handle and keep well in the fridge. Make this simple recipe when you get that horrific realization that you no longer have your mommy to bring you cold medicine. When the weather starts to get colder we are subtly reminded of the impending doom that is the Polar Vortex 2: Re-frosted. If this doesn’t make you even a little upset then you most likely have a block of ice where your heart should be located. 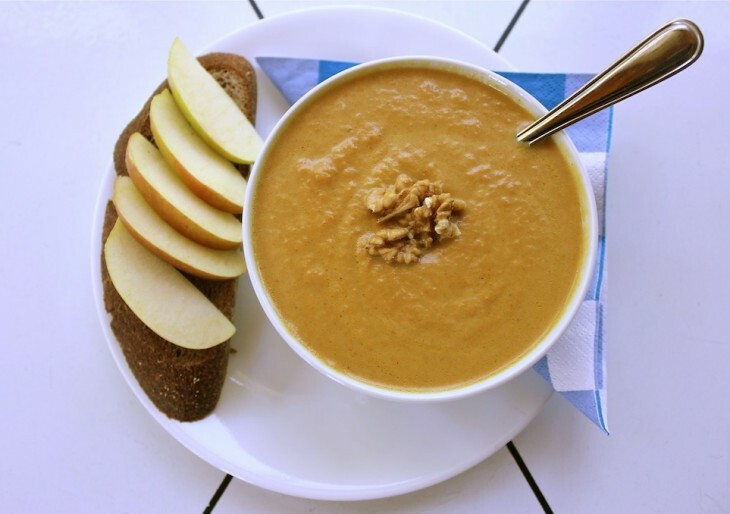 This spicy pumpkin soup recipe should cure that right up. It is perfectly engineered to cheer you up on the darkest of days. The density, smooth consistency and heat of this soup fill your stomach with a warming sensation that is scientifically proven to increase your overall happiness. Red pepper and curry contribute to this warming effect in addition to boosting your circulation. When it is all said and done, what makes us happier than anything pumpkin-flavored in the fall? Answer: nothing. 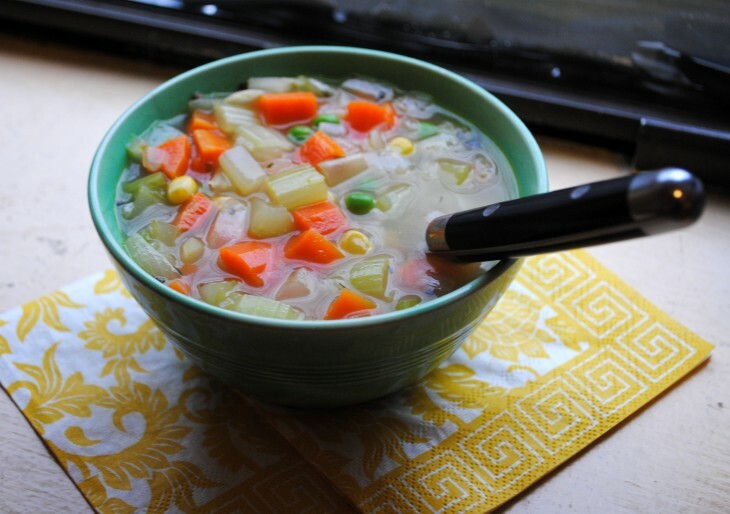 This Vegetable Rice Soup is chock full of: …you guessed it, vegetables! These play a huge role in delivering you your daily dose of nutrients and therefore keeping your body nourished. However, it’s the stock of this soup that detoxifies and cleans out your system. Just like the chicken noodle soup that you drink to fight off the sniffles, the broth supports liver detoxification, reduces inflammation, increases circulation and fills your body with essential minerals. Your body will want to give you a high-five after you consume this culinary bad boy. If you’re craving some soup, but don’t have the time to make it yourself check out this awesome noodle bar on campus. Stay warm, happy and healthy this fall!